Today was back to normal, Hubby went into work and got a lift with his Dad. He said he feels fine and I think I checked he was OK about a million times. I was quite nervous. 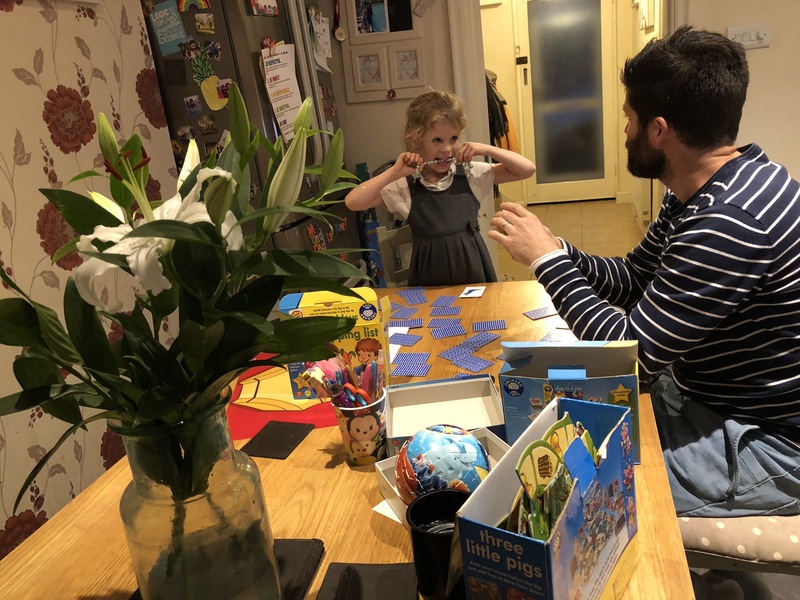 Isla and Daddy had fun playing games whilst Noah was at Beavers. She was trying her best to beat Daddy at Slug in a Jug… she loves that game. Yoga was good this evening, we worked on our wrists – probably because I complain about that a lot. I have really weak wrists and cannot support myself when doing the different positions.